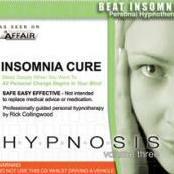 World Renowned Hypnotherapist Dr Rick Collingwood has had outstanding result from his range of self hypnosis CD's. With more than 50 titles now available in the range to choose from, get the unlimited opportunities to improve your life. 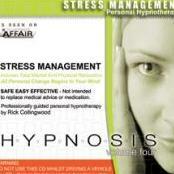 The range of self hypnosis cds are great to practice meditation at home. Change you life style by changing habit. A large number of people are now leading better life by applying more control on their life. If you can establish control on you, sure you will be able to see all the good things around you. 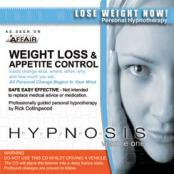 This self hypnosis CD has been specifically designed to influence the listener to discontinue the destructive and unhealthy habit of smoking. Utilising a proven and successful formula by targeting both the physical and emotional addictions and reasons for smoking to help understand, accept and stop smoking. Within weeks, a smoker can be fully abvsolved from all addiction to nicotine, allowing better ease of breath, improved fitness and better lung capacity. Insomnia is a feeling of not being able to get enough sleep. It is usually related to finding it hard to get to sleep, waking up without having had enough sleep, or having unrefreshing sleep. This self help hypnosis CD allows the user to easily step beyond the insidious curse of insomnia and the accompanying mental and physical health destroying effects resulting from too little sleep. This self Hypnosis CD has been deliberately formatted with an induction and no further spoken voice that is audible to the conscious mind. The remainder of the CD is sharp and Theta Rhythm with underlying subliminal messages. Stressed minds tend to analyse things intensely and would focus too much attention on the spoken word hindering the calming effect of the CD. As the conscious mind follows the frequency and rhythm the subconscious picks up the subliminal message.